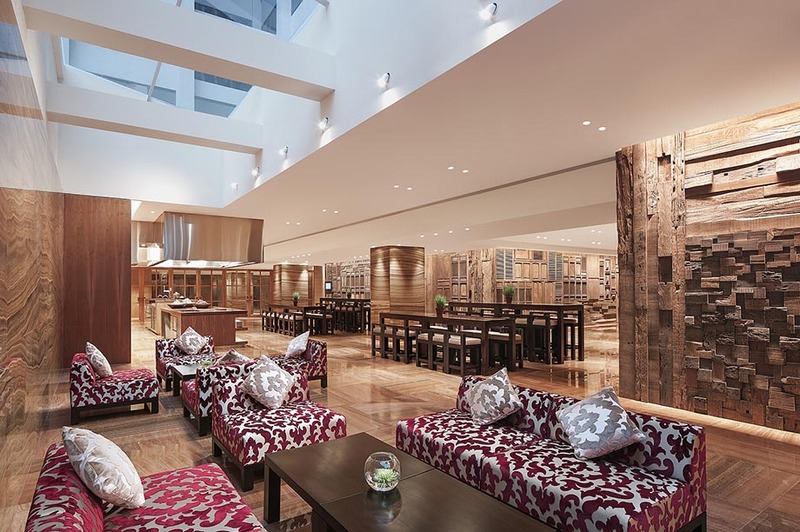 C&IT's sponsored Destination of the Week is the high-end, 677-room Grand Hyatt Singapore hotel. 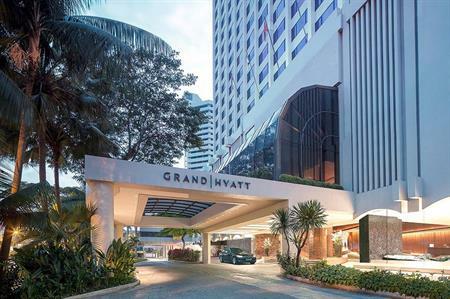 Located in world-renowned Orchard Road precinct - Singapore’s prime business, shopping and entertainment hub - Grand Hyatt Singapore is an oasis for travellers. Designed by renowned Japanese interior design firm, SuperPotato, the 677 luxury rooms and suites are fitted with modern conveniences including spacious work desks, luxurious beds and elegant bathrooms. With three Presidential Suites on the same floor to accommodate multiple VIP guests in close proximity and the highest number of junior suites (Grand Deluxe) in the city, complemented by comprehensive hotel facilities including the award-winning Damai Spa & Fitness Centre and five restaurants, Grand Hyatt Singapore is an all-inclusive option for C&I events. Designed to meet the exacting requirements of small- to medium-sized C&I events, the three levels of residential-style event venues – 16 in total – at Grand Hyatt Singapore cover 5,183sqm of space. Level 3 has 2,786sqm of highly flexible space for any event configuration, featuring natural daylight and high ceilings. 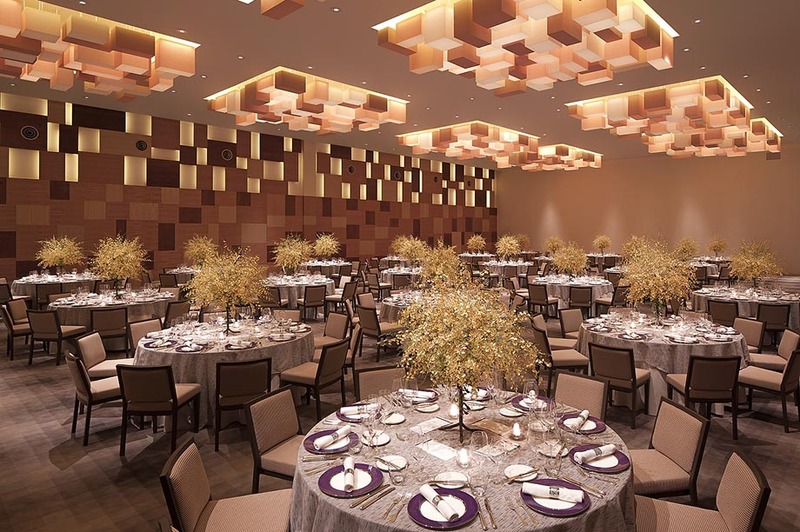 Comprising five residences and two ballrooms – the Grand Residence and Grand Ballroom (above) have the capacity to host 460 guests and 760 guests, for receptions respectively. Level 2 features over 1,000sqm of space, including four salons, a drawing room, loft kitchen, and a show kitchen within the 515sqm Grand Salon, which can be divided into two sections and has a capacity of 340 guests for dinner and up to 700 for receptions. Themed on a modern contemporary art gallery with exclusive art collections displayed throughout, Level 1 is ideal for corporate meetings of a smaller scale. Housing a loft kitchen, lounge, and two ateliers and galleries, Level 1 has the versatility for a completely exclusive and private venue. The galleries can transform into a main event venue and can accommodate up to 240 guests for a dinner event or up to 360 delegates for a seminar. The hotel is located in the heart of the city’s shopping and entertainment district and is a 30-minute drive from Changi Airport. Major points of interest including Chinatown, Clarke Quay, Marina Bay and the National Gallery Singapore are easily accessible by train. A wide range of options incliude contemporary Western and Asian cuisine at mezza9; popular local delights at StraitsKitchen; grilled delights by the poolside at Oasis; hearty Italian fare at Pete's Place; or elegant afternoon tea at 10 SCOTTS. Damai Spa is the only spa in Singapore that brings together the cultural healing philosophies of the Lion City in its treatments – experience the techniques and traditions of Chinese, Malay, Indian and European cultures.